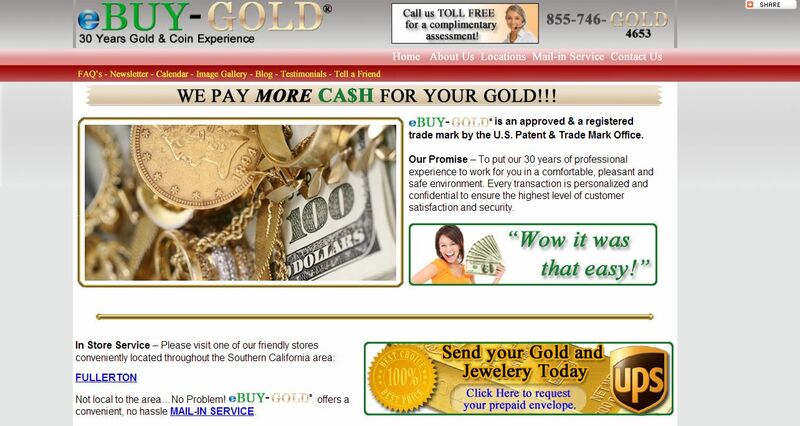 E Buy Gold address, phone, website, and more. we buy, sell and auction your old, unwanted gold, silver, platinum, coins, stamps and diamonds. Choose to come into one of our in store neighborhood locations, use our mail-in service that is fast and secure, host your own gold party or post your items on our soon to be launched auction site. We have seen the price of gold & silver fluctuate over the past 30 years, but never has the price of gold been so high. In 1971 when we were taken off the gold standard gold was $72.00 per oz. and today gold is over $1,400.00 per oz. Now is the time to sell your gold and silver to take advantage of these all-time high prices!